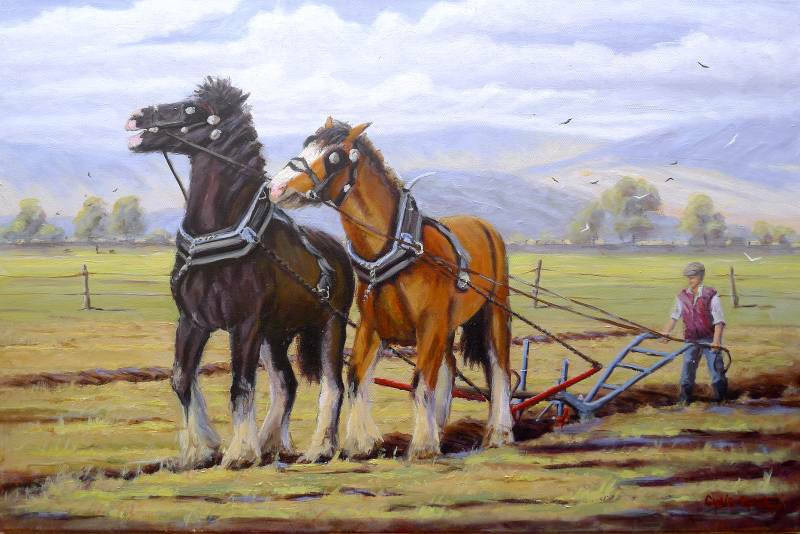 A nod to the rural past - Two magnificent plough horses work the soil, being guided by their trusted ploughman. Opportunistic birds gather overhead, waiting for any tasty morsels that might get unearthed. 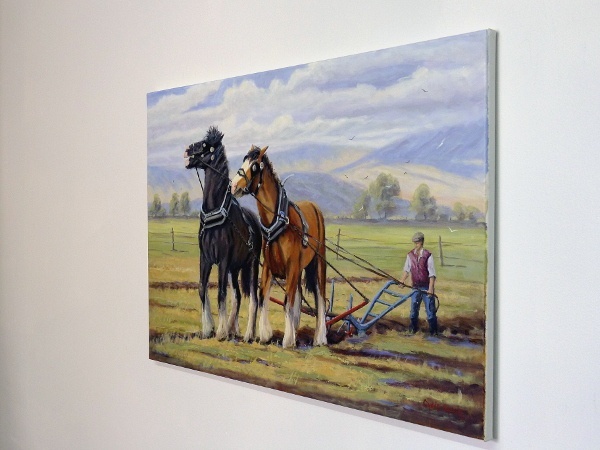 This horse painting was great fun to work on, in fact.. was a little bit sad when it was finished. "A Nod To The Past"